As most people know, betting on professional sports is illegal throughout the United States except for in the state of Nevada. While some other states allow gambling and various related casino games, they draw the line at sports betting. But why? Wagering on sports is as American as apple pie and rock & roll, and is seen throughout America's history. The origin of the current ban on sports related gambling stems from the Professional and Amateur Sports Protection Act ('PASPA') which is a federal law passed in 1992, and was ushered through congress with heavy support from all of the major American professional leagues (NFL, MLB, NBA, and NHL) and the National Collegiate Athletic Association (the NCAA). 1. To end state sanctioned sports gambling. 2. To Maintain the integrity of sports. 3. To limit the promotion of sports gambling to America's youth and other vulnerable groups. After being law for over 20 years now, PASPA has done little to detour those who wish to wager on sports, and even worse, it's caused the sports gambling scene to go underground and into the black market, which presents its own obvious dangers. The sports gambling issue that now faces present day America is quickly becoming the Prohibition of the 21st century. The federal ban on sports wagering has done little to nothing to combat Americans wagering on sports, as sports wagering has seen its popularity steadily grow over the last decade, and furthermore, ignoring the demand for sports gambling and making it illegal leaves the regulatory duties and managing of the illegal, but thriving sports wagering industry on the criminal black market. Similar to the war on drugs, and Alcohol Prohibition before that, we've seen that when there is an outstanding demand for something, like there is for sports wagering, you simply cannot stop it. The only rational solution is to legalize, tax and regulate it. The government is giving the black market the control of the sports gambling industry, and by doing so they're not only missing out on billions of new tax revenue to feed their unquenchable thirst for spending, but they're also giving the criminal enterprises than run the black market, an asset that ensures that sports gambling fans will have to come to them to place their wagers. If I may draw a comparison to the recent events with the war on drugs, and marijuana, specifically. Regardless of your personal opinion on the issue of marijuana legalization, the fact is that marijuana has been illegal for many decades, yet its use and availability have exploded since the war on drugs started. Whether or not you agree with marijuana use, nobody can stop the demand in this country. By keeping marijuana illegal, you're asking the criminal drug cartels to regulate the industry and to reap lucrative profits that result from it. Marijuana is just like sports wagering in the sense that you cannot and will not ever eliminate the demand for it. So why keep fighting a war that can't be won? It's time for America to face the error in its ways and begin to embrace sports wagering not only as a great form of entertainment, but also as a huge source for extra revenue for things like schools, roads, and infrastructure. The legalization of sports wagering wouldn't turn every American city into Las Vegas, and the benefits are never-ending and obvious. Over half of states in our great country have legal casinos. The vast majority of them also offer some form of state lottery. Three currently have approved some form of internet gambling, with others soon to follow suit. Anyone can find today's betting lines and point spreads by simply opening a newspaper or on various other mainstream media outlets. So how can a country that seemingly supports gambling via table games and machines, still baulk at the rational argument of regulating and cashing in on this industry with a rapidly growing demand? It's sheer hypocrisy. In recent years many notable figures have begun to come forward and point out these obvious inadequacies of PAPSA and the opposition to sports gambling in the United States. New Jersey voters voiced their overwhelming support for legal sports betting in a 2011 referendum, and Governor Chris Christie of New Jersey recently signed a bill authorizing sports betting at local casinos and horse racetracks, a law which the NBA and many other leagues have thus far opposed. The bill was since blocked in a federal court as a result of its violation of PAPSA. An equally important development occurred recently when Adam Silver, the new commissioner of the NBA, came out in support of legalized sports gambling, after many years of which the league was firmly opposed to the idea. Breaking the traditional thinking of the NBA by Mr. Silver is seen as a historic step forward in changing the unfounded negative stimulus associated with sports gambling, and the overwhelming opposition amongst many high-standing officials throughout the major American sports leagues. Silver spoke on the issue in an interview with ESPN where he states, "Some of our owners are also owners in other leagues, so it's something that they also want to talk to the commissioners in the other leagues about," Silver said. "I think most of our owners' view on the issue is that they're comfortable with us taking a leadership position on the issue, but again are also mindful that it's a complex issue, and is one that will ultimately require a legislative remedy, and not one that is necessarily at the top of their to-do list, in terms of active lobbying." Right now handicapping and consulting is legal. 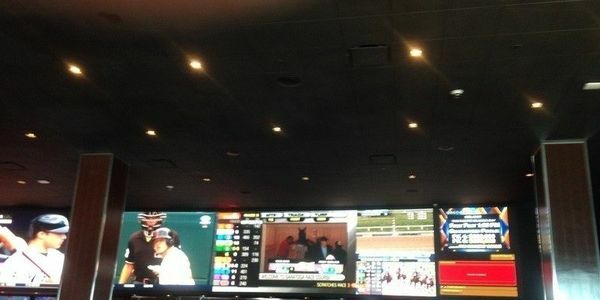 For example it is legal to purchase sports betting tips from famous handicappers like Jon Price of Sports Information Traders who helps bettors to make money off of legal Sportsbooks in Las Vegas & Delaware Park in the USA. While not offering overwhelming, positive support for the lift of the ban, Mr. Silver's sentiment is a step in the right direction. If you eliminate all the political correctness in his statement, his support for the future of sports betting seems genuine. He was the first major sports commissioner in today's leagues to come out and proclaim his support for lifting the ban, and in a country that rides issues like tidal waves, this is exactly the support the movement needed to gain momentum. The integrity of the game seems to be at the focal point of many of today's arguments against the legalization of sports betting. And one major black eye for the cause of legalizing sports gambling is the Tim Donaghy scandal which broke in 2007. Dinghy, an NBA referee for 13 years was implicated in the biggest point fixing scheme of modern American sports. In addition to betting tens of thousands of dollars on games he officiated throughout the 2005-'06 and 2006-'07 seasons, he also began working with lower-level mob associates to fix games. The NBA knew nothing of the scandal, and if not for an ongoing FBI investigation of a broader organized crime investigation which eventually revealed Donaghy's shady dealings, he would not have been caught. While the Dinghy scandal is a sound point in the opposition's favor, it does little to deflect the rational arguments against the prohibition of sports gambling in America. The Donaghy scandal was a unique and contained incident, and by no means indicative of what sports would be like with the legalization of sports betting. Since the scandal, officials are under far more scrutiny than in any other time in the league's history, and the integrity of the game is as reputable as ever. As the tide has begun to turn amongst many of the high ranking officials amongst the various major American sports leagues, the movement is beginning to win support from voters, as well. Polls have shown a growing trend in the rising support for lifting the ban on sports betting. Three states, Indiana, New York, and South Carolina have already introduced bills to legalize sports gambling this year. There's also reports that Minnesota state representative Phyllis Kahn will be introducing a similar bill sometime this session, while New Jersey continues to fight the major American sports leagues, including the NBA, in court to allow Vegas-like sports gambling at their casinos and horse race tracks, which the state heavily depends on for tax revenue. The case is currently header for the appeals court in the spring. New Jersey state Senator Jim Whelan and State Assemblyman Vincent Mazzeo went as far as to send a letter to the NBA offering .25% commission fee from every bet placed at a New Jersey casino. The NBA and Commissioner Silver never reacted directly to the offer but did express the interest to discuss the issue. The country can no longer afford to fight a battle that can't be won. The tide of public opinion is turning in favor of ending the prohibition on sports betting across the country. Beyond the obvious and direct benefit of the billions or possible trillions in tax revenue to contribute to our ailing economy, but it'll also be eliminating the criminal element and regulating the industry for the first time ever. The sports wagering industry is thriving and growing in popularity, yet instead of the American people benefiting from it, we allow criminal enterprises to control and profit greatly from it. It's time to undo the non-sensical and unjust PAPSA law of 1992.